US bond returns are now negative over the past 2 years. The last time that happened was 1981. While there will likely be bumps along the way, I don’t think it will take another 37 years before we see another negative rolling 2 year return, do you? If not, it’s a good time to be thinking about how to immunize your portfolio. Almost every prior stock market crash was caused, or at least exacerbated, by market illiquidity. As you can see in the chart below, the FED’s recent activity of unwinding their balance sheet by selling a small fraction of their QE accumulated holdings coincided with the most recent 12% stock market consolidation (not the sole reason for the correction mind you). It is important stock investors understand the correlation between the FED removing liquidity and lower stock prices. When you combine this balance sheet activity with a simultaneous push higher in interest rates we are entering into uncharted territory knowing just how the market will react. Regardless, the current consolidation in the SP500 has a clearly defined upper and lower boundary, 2670 & 2530 respectively, making it a much easier task to manage whatever happens. Above I add exposure, below I decrease. We all understand the destructive effects of inflation has over time but what happens when inflation is as low as it has been over the past 20 years? What you say, inflation has not been low? Your personal experiences says otherwise? Our Government’s Bureau of Labor Statistics (BLS) begs to differ. Prices on average over the past 20 years has been 55.6% which works out to be an annualized rate of ~2.02%. 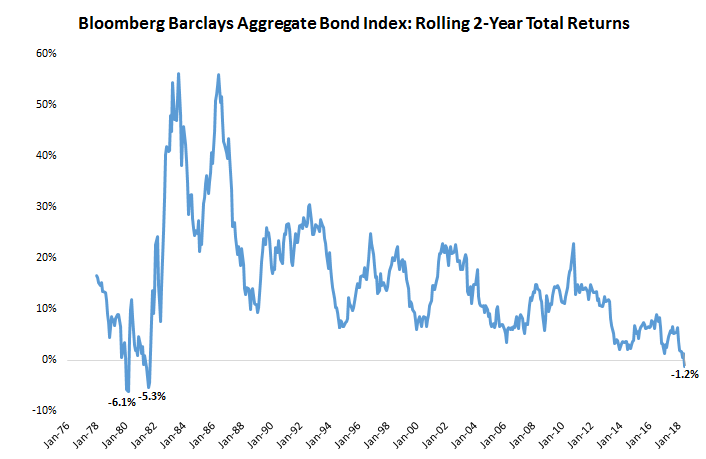 One of the lowest 20 year periods …. Ever. So who’s right? The problem as we uncover when peeling back the onion, is how the BLS calculates its numbers. To avoid going down that rat hole into a hornets nest, it’s safe to say that inflation is the sum of the prices of things that are rising and the rest that are rising more. Unfortunately, as it works out, the things that you want are rising while the things you need are the things that are rising more. This has never been so apparent than in the most recent 20-year data presented in the chart below. One scrutinizing the chart may point out that food and beverage prices (a need) have been rising at an “average” rate. The devil is in the details here too. Looking under the hood you will see the things that are healthier (unprocessed and natural foods) are rising at a much faster rate than things like fast food. Oh and while I do have some millennial readers, no, cellphone service is NOT a thing you need.